Cook bacon in a deep cast iron skillet over medium-high heat until crisp, about 4 to 6 minutes. Use a slotted spatula to remove the bacon pieces and transfer to a paper towel-lined plate. Add the diced onion to the bacon drippings and cook until translucent, about 1 to 2 minutes. 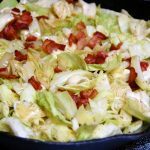 Add shredded cabbage to the pan and toss to coat. Add in brown sugar, salt, and pepper and cook until cabbage is tender, about 5 to 7 minutes. 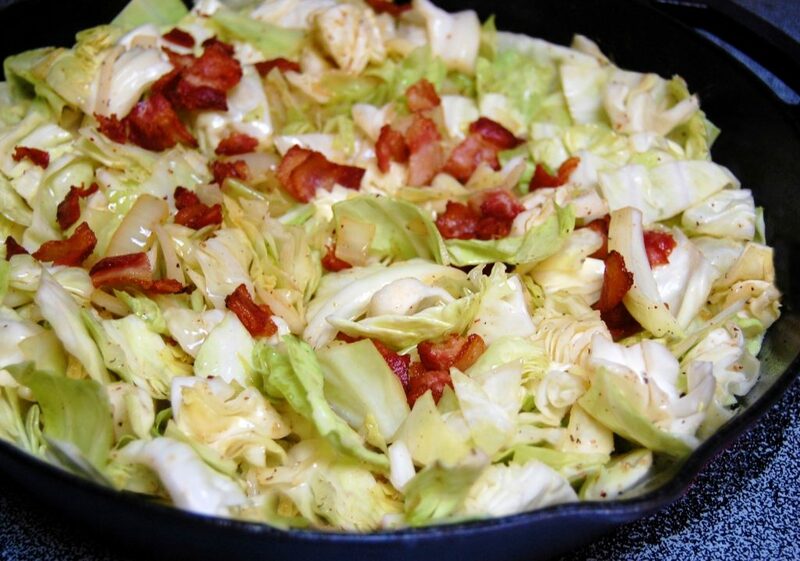 Add the bacon back to the cabbage and cook for another 2 to 3 minutes; season with more pepper if desired. Serve hot. Cook’s Note: Diced apples, sliced sausage or noodles would make a great addition to this dish!